Water play fun for the entire family. Forget the beach. 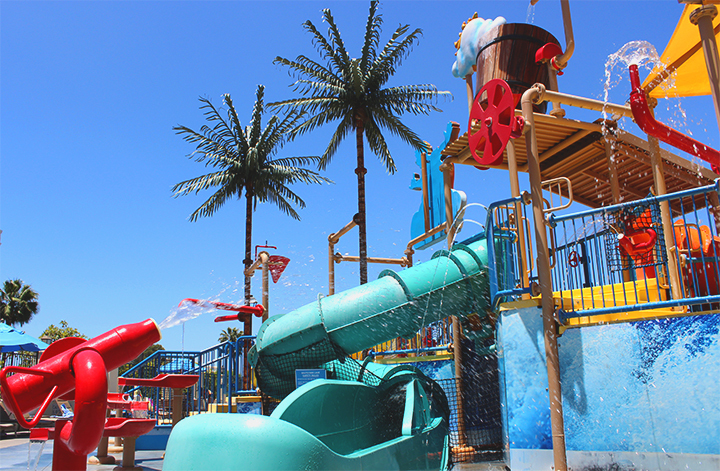 At our Anaheim hotel, guests have an exclusive invite to the city’s largest themed waterpark (outside of Disney® properties). Surfside Waterpark, located on our second-level observation deck, is open only to hotel guests. 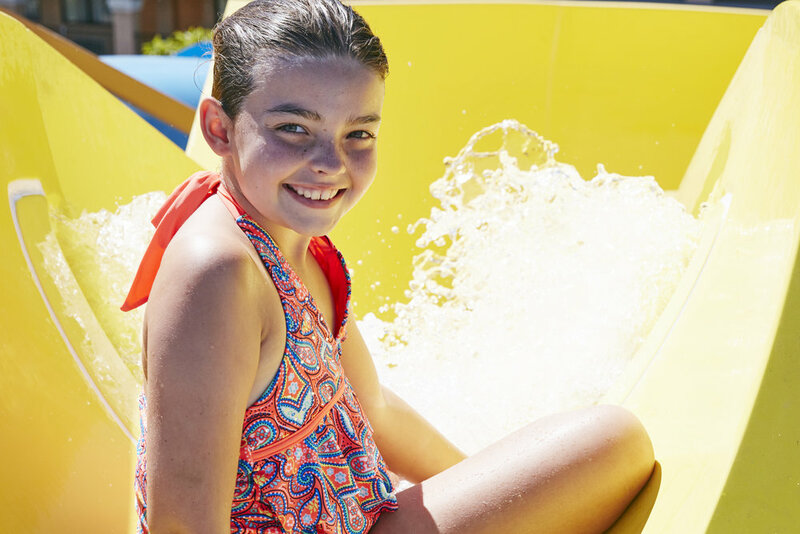 Surfside Waterpark is open year-round, every day! Book Today. HANG TEN ON HARBOR BOULEVARD! Located on the second story Observation Deck, Surfside Waterpark is the largest hotel waterpark outside of the Disney hotels. 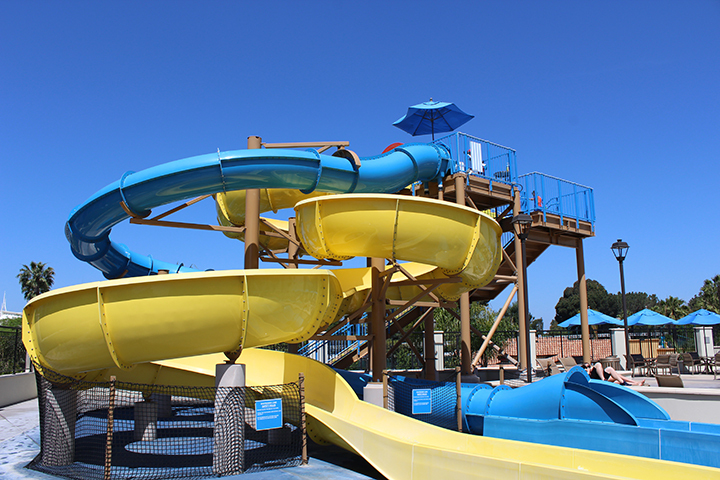 Explore 20,000 square feet of slides, pools, fountains and more. 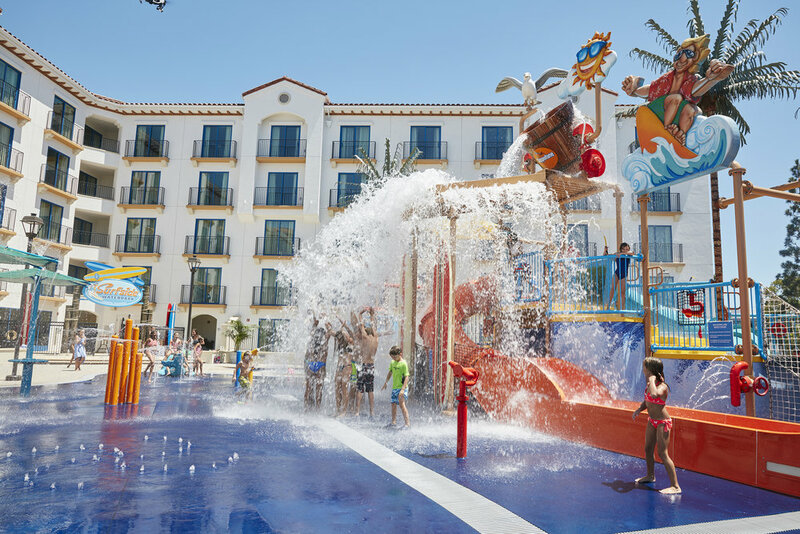 From newbies to seasoned surfers this is a place for the whole family to play, together! Climb 30-feet to reach Courtyard Coaster and Anaheim Accelerator, two thrilling slides that send you to a splash landing below! Climb aboard the Beach Shack to the Kowabunga and Hang 10 slides, or the twin Gremmie slides for the wee ones! The 400-gallon Drench Bucket is sure to be a hit as it soaks those below every few minutes. When you hear the bell, you better come a runnin’! Fountain features surround the Beach Shack for lots of ways to play and beat the heat. Take a dip or get your exercise in the 42-Foot Pool on the sun deck. Nothing is better at the end of a long day at Disneyland than a soak in a Hot Tub. Ours is located on the sun deck and holds 15 of your closest friends. And you may catch a glimpse of the fireworks! Climb 30 feet to surf two of the most tubular water slides at the Disneyland Resort! The yellow Courtyard Cruiser and the blue Anaheim Accelerator offer thrilling rides down to a splash landing below. Riders must be 40 inches or taller. Get ready for a wipe out at the Beach Shack play structure which features our 400 gallon dump bucket! A 'Gremmie' is a young inexperienced surfer, and the twin Gremmie slides are perfect for beginners! "Cowabunga dude!" Ride the tube in this intermediary slide for adventurous little surfers! Put your toes on the nose and get ready to catch a wave! This slide finishes under the 400 gallon dump bucket so watch out for the wipe out! Cool off in our small lap pool. 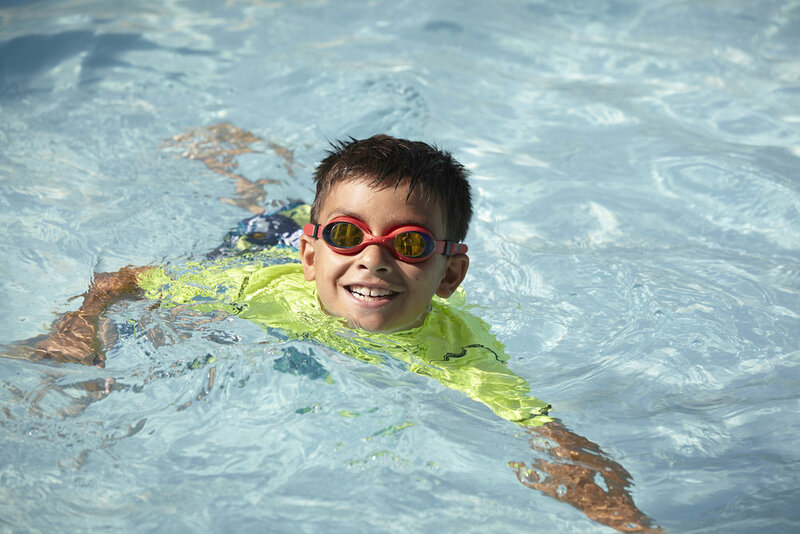 Our pool is designed to help you keep your eyes on children while they play. The pool is 3.6 feet deep and 40 feet in length.